Whether you want to sell online or from a retail store outlet, if you're not manufacturing products yourself, you have to get products to sell from a wholesaler, a business that buys large quantities of goods and resells them to other businesses. So the short answer to the question, "What is a wholesaler?" is that a wholesaler is a middleman. The business model is based on the wholesaler being the go-between between a manufacturer of a product and other businesses who want to sell the product(s) the manufacturer produces. The wholesaler makes money by being able to buy the product(s) from the manufacturer at a lower price than other businesses would have to pay for the same products from the same manufacturer – usually through discounts based on volume buying. For example, suppose that I have a small business selling dolls. On average, I sell 100 dolls a month. I find a doll manufacturer who will sell me the dolls that I want to resell at $10 each. However, I’ve discovered that I can only sell the dolls to customers for $12 each, giving me a meager $2 profit on each doll. A wholesaler, on the other hand, who is willing to buy 50,000 dolls a month from the manufacturer, may get the dolls for $4 each – meaning he can then make a nice profit selling me (and other doll-selling retailers) the dolls for $8 each. I’m happy, too, because selling the dolls in my store at $12 each, I now make $4 profit on each one. This is greatly simplified, of course. Retailers and wholesalers don't make profits based simply on what they pay for a product and what they sell it for. And the product supply chain is more complicated, too. For instance, wholesalers and manufacturers may choose to deal only with businesses that are able to buy particular volumes of merchandise, or sign contracts to supply goods for definite periods of time. How to Start an Import/Export Business for information on importing/exporting into the U.S.
And wholesalers don’t just sell products on; besides breaking products down in to smaller units which can then be sold more conveniently to different retailers, wholesalers may also assemble goods as part of the wholesaling process. Note too, that while the most common type of wholesaling is between manufacturers and retailers, an increasing number of wholesalers sell to other wholesalers. A wholesaler may also sell materials to make goods, buying them from one manufacturer and selling them to another. I suspect anyone the least bit entrepreneurial read the doll example I present above and immediately thinks, "Why not just cut out the wholesaler? If you buy the dolls directly from the manufacturer at $4 each, you would make a whopping $8 profit on each doll!" It just doesn’t work this way for two main reasons. 1) Just because a manufacturer would sell the goods at this price to this wholesaler, doesn’t mean he would sell them to you at that price. Manufacturers are often willing to give wholesalers better prices than they would give retailers because of the aforementioned volume sales. Also, a manufacturer may not be willing to sell to your business at all. 2) Even if the manufacturer was willing to sell to you, what would you do with 50,000 dolls – or garden statues or baby strollers or whatever product you’re trying to source? 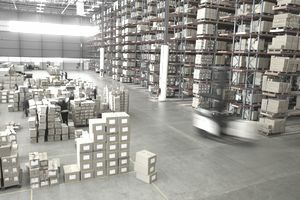 Storage is one of the primary functions of wholesalers in the supply chain; their ability to store the products they buy from manufacturers in large warehouses is a real boon to retail businesses, who don’t have to bear the cost of building or renting those kinds of storage facilities themselves. Is Wholesaling a Good Business to Get Into? Absolutely! But getting into the wholesale business requires a lot of capital (see what I wrote about storage facilities above) and the contacts to be able to find and make the deals that will enable you to make money from serving as the middleman. Wholesaling has also become a retail business model. Chains such as Costco operate on the premise that goods are sold to consumers “factory direct”, enabling the business to sell goods at lower prices. Examples: Brenda found hundreds of wholesalers for the tea products she wanted to carry in her new store on the Internet.